The old adage states, “A picture is worth a thousand words.” God designed marriage to be a picture of Christ and His relationship with His bride the church. When the watching world views the portrait of your marriage, what are the words that it conveys? It is so interesting to read the story of Isaac and Rebekah in Genesis 26 and notice that even though Isaac said Rebekah was his sister, king Abimelech could watch their interaction and know they were married. What can people learn by watching your marital interaction? When trying to grasp the complexities of the marital masterpiece, we deliberated over a visual aid. What picture could capture the profound mystery Paul is describing in Ephesians 5? Is there a mysterious portrait? 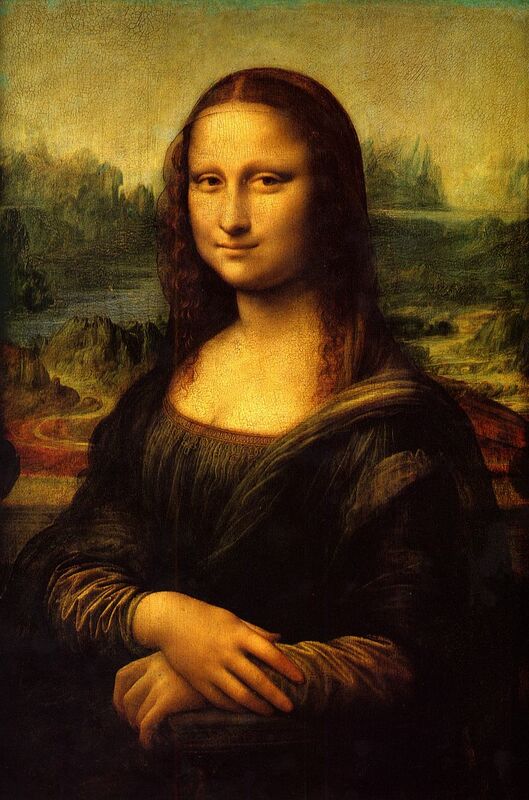 Memories of our college Art Appreciation class brought Leonardo da Vinci’s Mona Lisa to mind. This portrait is surrounded with mystery. What is it about her eyes? Why is the landscape uneven? Are there hidden messages in the painting? The mystery of the Mona Lisa is very much like the mystery of marriage. We can Google it to find that many people have varied hypotheses, but how do we know who is right? Does it even matter who is right? We would guess that da Vinci would say it does matter, and he knows the answers because he is the original artist. Marriage books and conferences are often thought of as a way to control a spouse. Frequently when people know we are writing a marriage book they say, “you need to include . . . in your book.” Thus and such is usually some characteristic of their mate they wished would be changed. If an authoritative source said it needed to be changed, then there would be leverage for accomplishing the desired result. We are advocating the authoritative source of the Bible and God’s plan and purpose for marriage. Marriages that Minister is not talking about what can be accomplished by human effort. It is an invitation for you to participate in what is humanly impossible but divinely possible. We are offering you transformation through an intimate relationship with Jesus Christ that will completely change the composition of your wedding picture so that it becomes a portrait of Christ and His bride. We will not be just speaking of how a man can make a woman feel good or how a wife can make a husband happy, but exploring the relationship that Christ has with the church, and therefore how we should be relating to Him. Identity as God’s perspective of us. Intimacy as embracing God’s perspective of us thereby drawing us into spiritual connections. Industry as compelled action on the basis of intimate identity. Our first work entitled Desperate Dependency: Finding Christ Relevant to Every Area of Life laid the foundation for us to build Marriages that Minister. As we challenge readers to find Christ relevant in every area of life through Desperate Dependency, we now challenge you to find Christ relevant in every area of marriage. When a marriage matures in finding Christ relevant, it becomes a dramatic depiction of a masterpiece marriage that ministers. Sometimes people can assimilate information better when it is up close and personal, so we have created a variety of conference structures designed to convey the concepts included in Marriages that Minister. Let’s talk about what will work best for your audience. if you would like to bring Marriages that Minister to your church.